Below is a variety of resources to assist you as you plan for meetings and events. Meetings 101 — For assistance as you plan an LWML meeting. Creative LWML Events — Fun new ideas and themes for your next gathering. LWML Event Tips — Preparation and organization tips to help your event run smoothly. A Little Preparation Goes a Long Way — A fun "Do" and "Don't" sketch comparing an unprepared leader to a prepared leader. Event Planner & Speakers Brochure — For assistance as you plan upcoming LWML events. It is an excellent resource for local groups, zones, and districts that work with guest speakers. 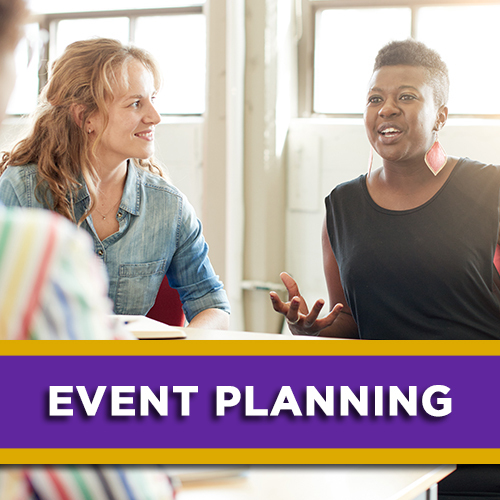 Event Planning Timeline — Minimize your last minute anxiety with this schedule for planning. The Planning Zone — Agenda samples, devotion, Bible Study, sketch, song, and helpful resources for inspirational leadership. Program Helps — Browse printable PDFs of devotions, Bible Studies, programs, sketches, and more to use at your events.